One of the garden highlights I most look forward to is the mid-summer bloom of bee balm in my border. When it is in full bloom, it attracts more hummer attention than even the most favored salvias. I often have three hummers at once working of the blooms within feet of one another in the most favored patch. In mid-May I was surprised to find evidence that deer had munched on my bee balm (Monarda didyma ‘Jacob Cline’). 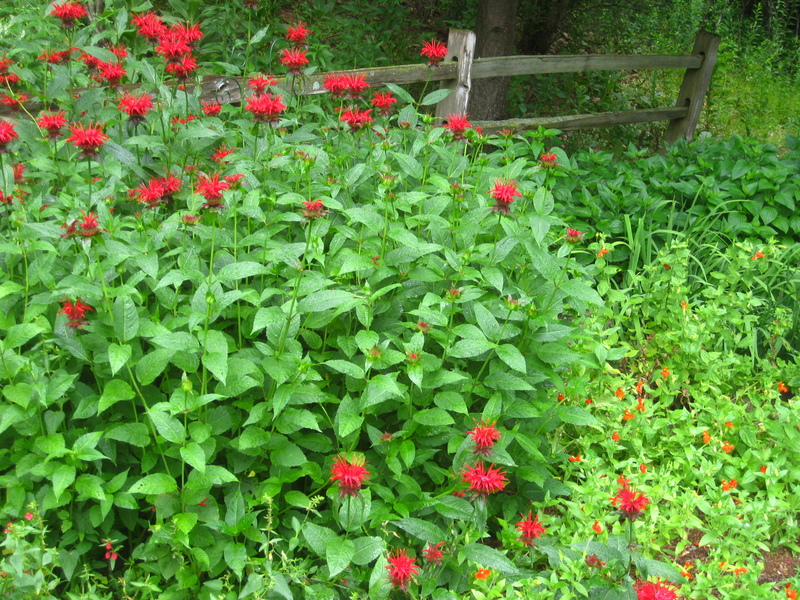 Most of my hummingbird garden is made up of plants in the mint family, including Monarda. The strong fragrance of the foliage in many plants in the mint family make them unpalatable to many garden marauders, including deer and rabbits. 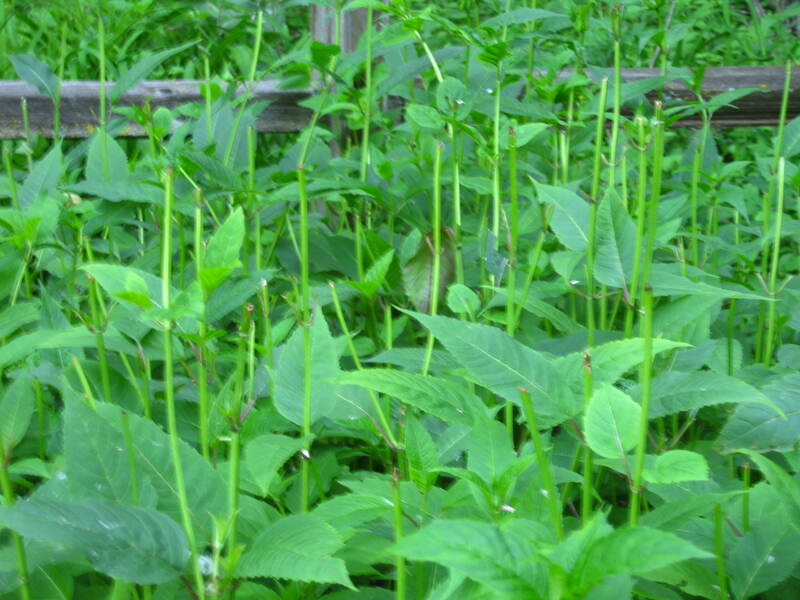 Many mints, including Monarda, are often considered deer-proof. The picture at the top of this post is from last summer, taken in early July when the taller stems in the back of the patch were just beginning to bloom. Now I will have to wait to see if this additional late trim will further delay blooming, or perhaps even prevent blooming altogether. Anybody else out there have deer who love mints or other “deer-proof” plants? Spray Liquid Fence or Ropel and reapply afer a rain. We see them in our gated, Sr. Citizens community all the time..walk right in the gates and down the streets and just stare at you from afar and then mosey on..to their next snack. Pippi21: Oh, I wish my deer would be dissuaded by Liquid Fence! I’ve tried it on my Monarda patch, and still, munched to the ground! Maybe I haven’t been diligent enough about reapplying after a rain.